The IATA sponsored Centre of Excellence for Independent Validators (CEIV), which started a couple of years ago as a means to encourage airports, airlines and handlers to take part, has quickly become popular in the aviation world. This applies especially to pharmaceutical certification. 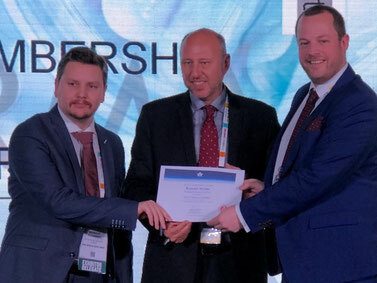 The Brussels-based carrier’s cargo arm is the latest in a now long list of CEIV certified organisations, having received CEIV Pharma certification last week. The reviewing process for Brussels Airlines which was conducted over the past months was successful and according to the reviewers showed Brussels Airlines Cargo organisation coming out on top with expertise and reliability in their pharma processes. Brussels Airport’s cargo management under the direction of Steven Polmans guidance were the original initiators of the program and have put much effort into positioning BRU Airport as a reliable pharma-related operation. Transporting pharmaceutical products is no easy business. The pharma industry is insisting on even tighter regulations and processes for the transport of these temperature and time sensitive products by air and by sea. The supply chain must work from beginning to end, otherwise the whole process becomes useless. It starts at the shippers’ doors and ends at speedy and reliable delivery of these sensitive items at the consignees’ premises. The CEIV certification is in the meantime much sought after by airlines, airports and handlers in order that they become recognized by the pharma industries managers as reliable partners. In the meantime the Pharma.Aero membership has added two further members. U.S. Fort Lauderdale-based Amerijet and India’s Penta Freight are the latest two members to join. Steven Polmans said that their membership further strengthens the global reach of the organisation.